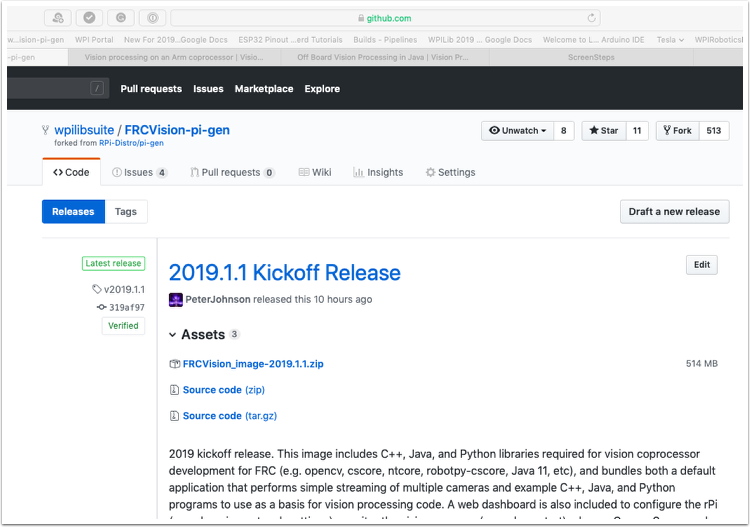 The image is stored on the GitHub release page for the FRC PI-gen repository: https://github.com/wpilibsuite/FRCVision-pi-gen/releases. In addition to the instructions on this page, see the documentation on the github web page (below). The image is fairly large so have a fast internet connection when downloading it. Always use the most recent release from the top of the list of releases. 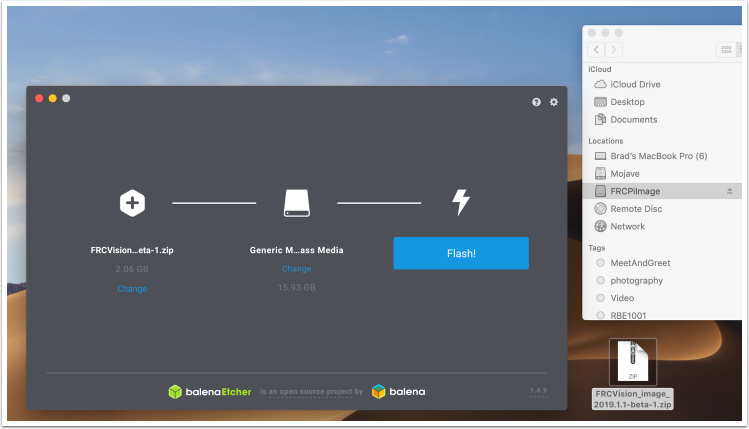 Download and install Etcher (https://www.balena.io/etcher/) to image the micro SD card. The micro SD card needs to be at least 4 GB. Note: a micro SD to USB dongle such as https://www.amazon.com/gp/product/B0779V61XB works well for writing to micro SD cards. 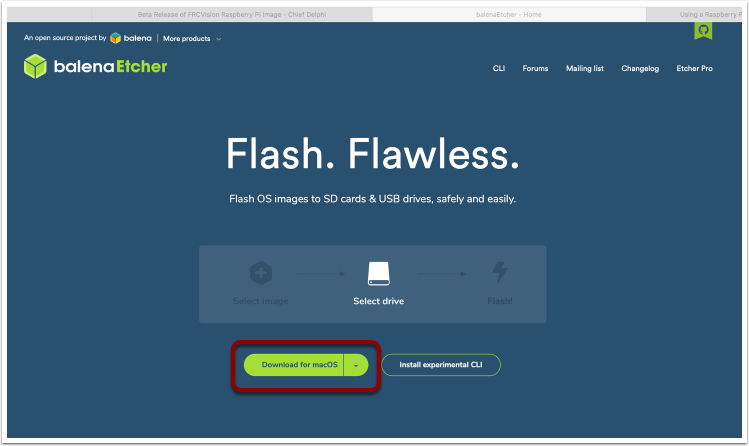 Flash the MicroSD card with the image using Etcher by selecting the zip file as the source, your SD card as the destination and click "Flash". Expect the process to take about 3 minutes on a fairly fast laptop. Put the micro SD card in a rPi 3 and apply power. Connect the rPi 3 ethernet to a LAN or PC. Open a web browser and connect to http://frcvision.local/ to open the web dashboard. On the first bootup the filesystem will be writable, but later bootups will default to read only, so it's necessary to click the "writable" button to make changes. Known issues with this release (errata). These will be fixed in the next release. Downloading the Java example program on the web dashboard does not work. Grab it manually from /home/pi/zips instead (using ssh). Console output enable button on the web dashboard doesn't persist correctly through a rPi reboot (it needs to be disabled and re-enabled to again get console output).